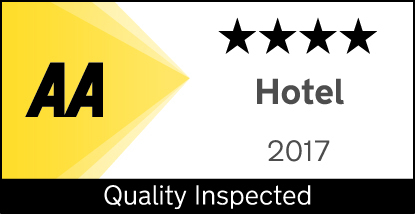 We’re super proud to share with our Rose & Crown guests that our sister hotel, The Atlantic Hotel in Chelmsford, has just been awarded 4 star status! The Atlantic, which has recently undergone an extensive refurbishment, sits in the heart of Chelmsford City Centre. So it’s a fantastic place to base yourself whether you’re travelling for business, planning a weekend escape, or night out in this superb Essex city. Unlike the Rose & Crown, The Atlantic is a little bit more modern in her appearance. So as sisters go, these two are like chalk and cheese! We’ve gone for a more sleek and polished look with The Atlantic. With 3 standards of room that include our stunning duplex suites. Tastefully modelled on New York style loft apartments, with all the latest technology and a few other luxuries thrown in for our guests to enjoy. Also onsite at The Atlantic is our Italian bistro Sapori, which Italian speakers (or those with Google translate) will know means flavours. Sapori is unique in Chelmsford, in that it offers dishes derived from Italian classics commonly found around the Abruzzo region on the Adriatic coast. We opened Sapori in 2010, and since then the restaurant has become a hit with our Atlantic Hotel guests and Chelmsford locals alike, who like to join us for our great value 2-course lunch menu or a relaxed dinner in the evenings. The hotel also boasts a bar serving the latest spirits, as well as handpicked wines specifically sourced to complement the food menus. And for guests who like to stay in shape, when they’re away from home, The Atlantic has partnered up with local Chelmsford city gym Ab Salute, who are kindly offering free gym passes to hotel guests. At just a minute’s walk away, the journey won’t give you much of a work out! But with a full weights room, as well as sauna, and cardio equipment in an air-conditioned studio, you can make up for the short commute when you’re there. We wish The Atlantic Hotel, and all the team there, huge congratulations on their newly awarded 4-star status. It’s very much deserved. From all at The Rose And Crown – Hip Hip Hooray!